Without substantial information nor serious logic, my sense, and nothing more, tells me to pay close attention t0 2014 as it may be one of the best years for film in an decade. For the remainder of the season, as the summer action blockbusters begin to fade, a multitude of movies with great writing and memorable performances seem poised to emerge…at least that’s what the tarot cards tell me. So, if your tired of fighting apes or aliens, start your Fall with three films that may foreshadow a great year. 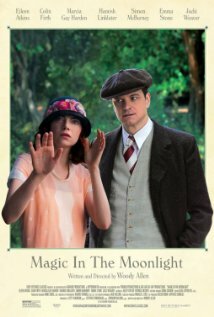 creative screenplay and tremendous performances carry the film, set in 1920’s Provence as Allen transitions from a New York film maker to a foreign film maker. Firth and Emma Stone are cast perfectly as we explore personal vulnerabilities set among arguments regarding the existence of “psychics”. until it’s over. It should be one of this year’s most critically acclaimed films. 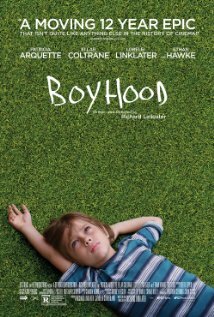 Previewed as a film that was twelve years in the making, allowing the characters, especially the children to age naturally throughout, I found that the concept of “Boyhood” gave the viewer a new and unique viewpoint into the struggles, changes, mistakes and happy times in a family. The main character is seven years old as the film begins and 19, off the college when it finally concludes. Significant changes, obvious to the kids, are equally evident with the adults, and in our two-plus hours together, I felt I knew their story. It’s called survival. I recommend this film as a must see, especially if you are a parent. some films that fit your fancy. Who knows, before it’s finally over, we may see Michael Keaton take home an Oscar. 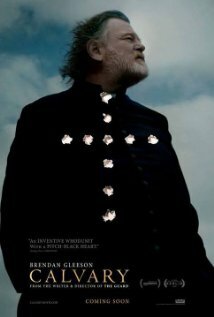 This entry was posted on Tuesday, August 26th, 2014 at 10:00 pm	and tagged with Brendan Gleeson, Colin Firth, Emma Stone, Woody Allen and posted in Film. You can follow any responses to this entry through the RSS 2.0 feed.